USA Gift Cards available for that special truck or SUV owner! Also a great way to show appreciation to employees and team members! 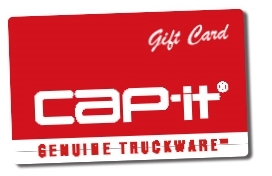 Gift cards can also be purchased at any Cap-it Store. Click here to find a store near you!